they are synchronous on the thread that fires an event, they can have a performance impact. - Count occurrences for several items separately. A user-specified value indicating the maximum number of groupings to retain. When this value is reached, new events that do not belong to the existing groups are ignored. The 'slots' parameter default is 256. If you assign another value, the value is rounded up to the next power of 2. For example, slots=59 would be rounded up to =64. A user-specified value that is used to identify a class of events. Only instances of the specified event are bucketed. All other events are ignored. If you specify this value, you must use the format: package_name.event_name, for example 'sqlserver.checkpoint_end'. If you do not specify the filtering_event_name value, source_type must be set to 1 (the default). The type of object that the bucket is based on. This value is optional and if not specified has a default value of 1. - source_type=0 means collect data for event fields. - source_type=1 means collect data for actions. The event field or action name that is used as the data source. When you specify an event column for source, you must specify a column from the event that is used for the filtering_event_name value. When you specify an event column for source, you do not have to include the package name in the source value. When you specify an action name for data source, you must specify the source value by using the format: package_name.action_name. Transact-SQL supports a subset of the XQuery language that is used for querying the XML data type. can access more than one record. aggregated data set (buckets). 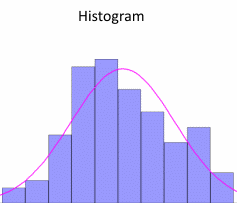 Once the Extended Events session is created & started, we can query directly from the Histogram XML data to see the results. That's it! 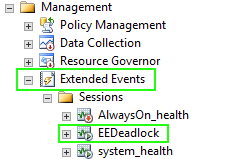 Now you have a fully configured Evended Events session monitoring deadlock events as they occur for every database in the engine.